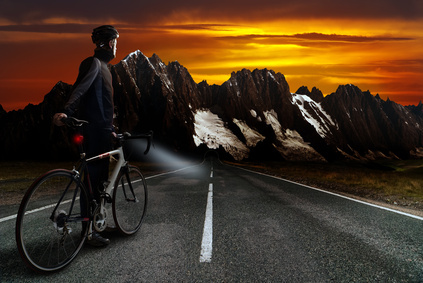 If you’ve ever seen an endurance event such as the Ironman Triatholon or the Tour of Britain, you know that these endurance athletes have to have confidence in their coaches, road racing bikes, and their ability to compete with the other racers. A lot of the training that goes into preparing an athlete for a championship game or event is not only for building the body but, to build confidence in the athlete. Its well known that the belief in your ability to do well, is a big factor in whether you will excel. But what happens when things get tough and something comes along that threatens your confidence? 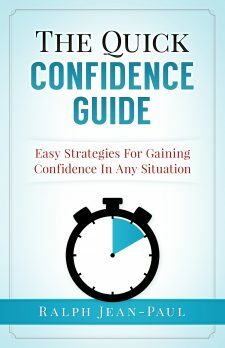 In The Quick Confidence Guide, I wrote a chapter about how to regain lost confidence. This article will show you a few ways to build enduring confidence. To build enduring confidence means building confidence that lasts through challenges and obstacles. The loss of confidence is a strange thing. Most people assume that if they are not confident in an area where they are trying to excel, the confidence has somehow fled to a far away place. In most cases, that is not usually the case. In most cases, there is an event, circumstance, or feeling that causes the sudden absence of confidence. In order to build enduring confidence, it is important to know what these ques are. This way, it will be easier to persist and and fight through towards high performance because you have recognized the thing that is robbing you of your confidence. We’ve Failed-A failure is one of the most common ways people lose their confidence. 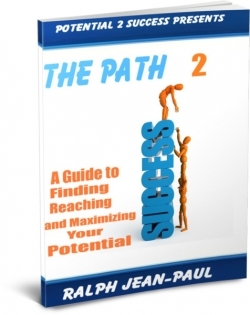 See http://potential2success.com/bouncebackafterfailure.html for how to recover from failure. We’ve Been Missed Informed-Too many people telling you that you can’t, its too hard, and other negative comments. We’re Not Getting the Same Results-Seeing a certain result from your activities is encouraging but when you begin not to see the results you expected you begin to lose belief in your ability. Athletes of all kinds understand that there is a reason they’ve put hours and hours of training into their sport. Top performing endurance athletes rely on their instincts when things aren’t going well. We can apply those same techniques in our everyday lives. Practice being confident every chance you get. By doing that, you are building a confident habit. Sometimes when things begin to go wrong we attempt to think too much. We do this as an attempt to fix the issue. At times, this hurts more than helps. However, when you develop confident habits, they will turn on automatically when you need them most. In the event when something comes along to threaten your confidence, it will be easier to endure because your confident habit has already been developed. On the road to accomplishment, its tempting to want the road to be smooth with no bumps. When obstacles do appear, they can sometimes derail our confidence. However, knowing that those challenges are coming and preparing for them can make them easier to stand and will also help maintain your confidence. Triathelte Mirinda Carfree came in 2nd place at her very first attempt at the Ironman Triatholon. She had done well on previous races but had never attempted the 140 mile endurance race. When asked her strategy about how she was going to deal with enormous challenge, her response was “I’m going to prepare myself to hurt out there like I’ve never hurt before.” That mental preparation made it possible to endure even when she wanted to quit. Take time to prepare mentally for the “hurt” you are bound to feel and your confidence will remain in tact when that hurt happens. There are times when your brain is not your friend. It will sometimes entertain thoughts of failure and quitting when you are facing adversity. Have a statement or affirmation that you can repeat that will help your mind refocus when your thoughts begin to stray in the wrong direction. One of my favorite examples of this is in the movie Men of Honor. When Carl Brasher (Cuba Gooding Jr.) was training to be a Navy Diver, one of his tests was to put together a flange while under water. While he was at the bottom of an ice cold lake for hours, he kept repeating to himself, “My name is Carl Brasher, I am a navy diver.” The go-to statement should reaffirm and remind us of our goal all the while keeping us focused.